If you are looking for something cute to use as gift wrap from your Valentine's Day present, check out this free printable Valentine's Day wrapping paper that Mique made. One has traditional lovey Valentine's messages and the other has song lyrics. 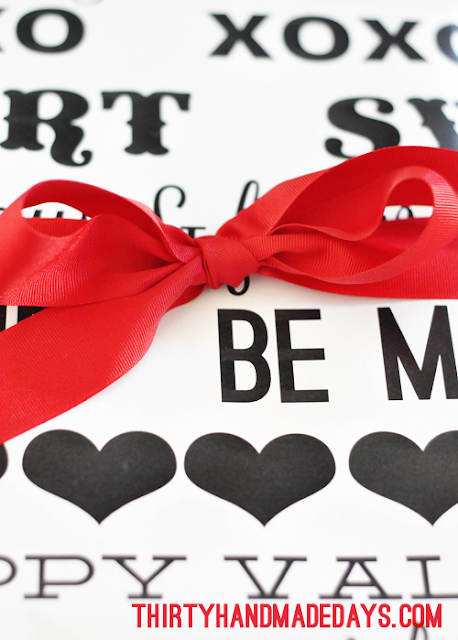 You can download the Valentine's wrapping paper over at Thirty Handmade Days. oh thanks for sharing this!! It is adorable! !